About half way through this blog post you will get to see a few chimneys. I was looking for a catchy title and Cappadocian Carpets or Cappadocian Camels just didn’t have the right ring. 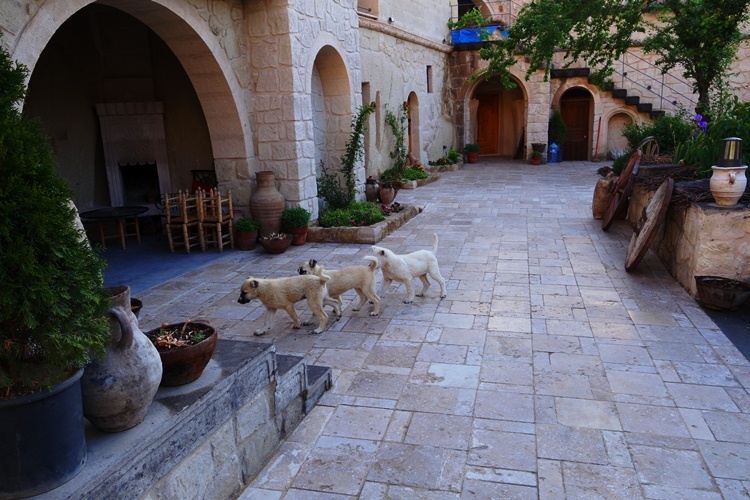 Instead I got to hang around our cave hotel and watch the sheep dog puppies play. They were so adorable and really friendly. The mother dog, not so much. Finally it was time for breakfast. We had a nice breakfast which started with bread, cheese, olives, honey, butter and several fruit spreads. We also had coffee or tea and a nice omelet. 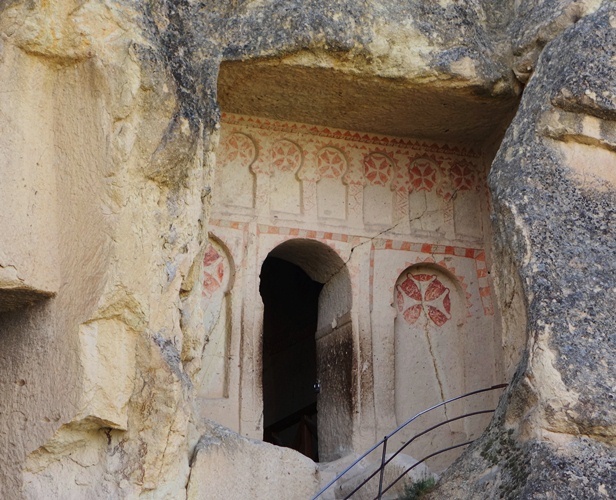 Our first stop of the day was the Goreme Open Air Museum. We visited several of a group of rock churches. Many of them had beautiful wall paintings. Unfortunately we were unable to take pictures inside the church caves. I will write more about them sometime when I am able to scan in some pictures from other sources that I own. I have received some complaints that I don’t share pictures of myself when I travel. I have been trying to include more of them. 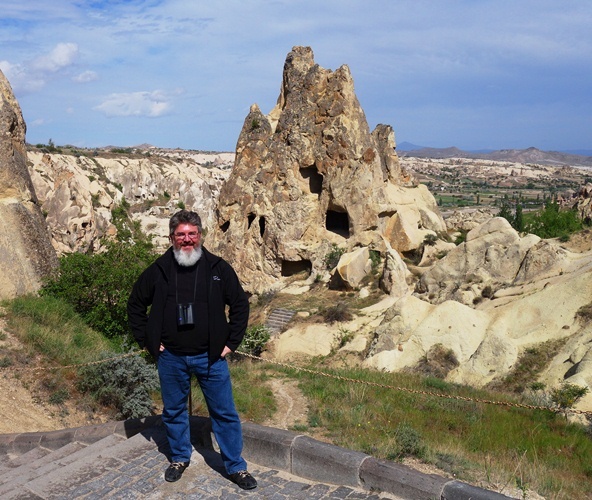 Here I am at Goreme with one of the rock churches in the background. Next on the agenda was a visit to the fairy chimneys. These structures were very interesting. I really like the caps on the top of each chimney. 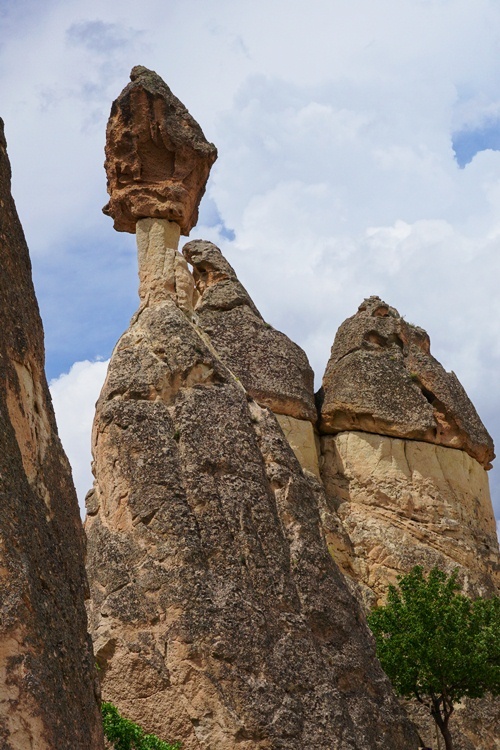 Here is another set of fairy chimneys. However the main subject of this picture is the juvenile camel. I have not see such a young camel outside of a zoo. I have written several posts about camels, including Camel Knees. We have seen a few camels on the trip and I have one in my post from yesterday. Today during lunch I learned a lot about carpets. 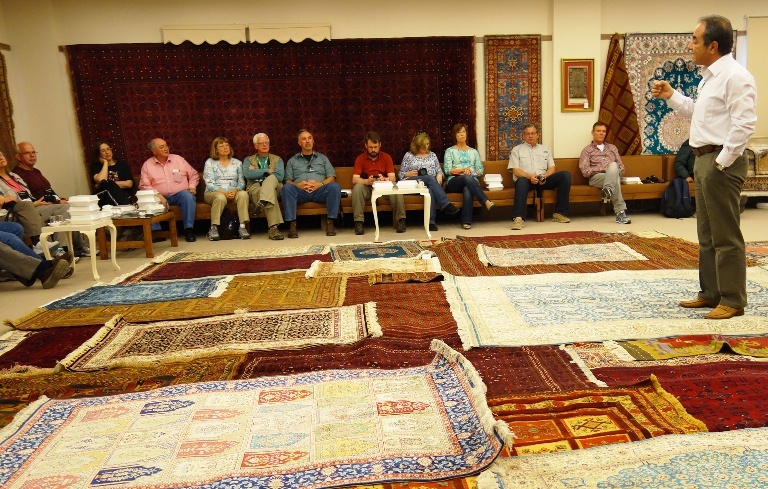 Several members of our group bought carpets today and others almost bought carpets. I looked at a few, but not seriously. I have more important things to find than a good carpet. Look for a future blog post about carpets. Our next stop was the Kaymakli underground city. 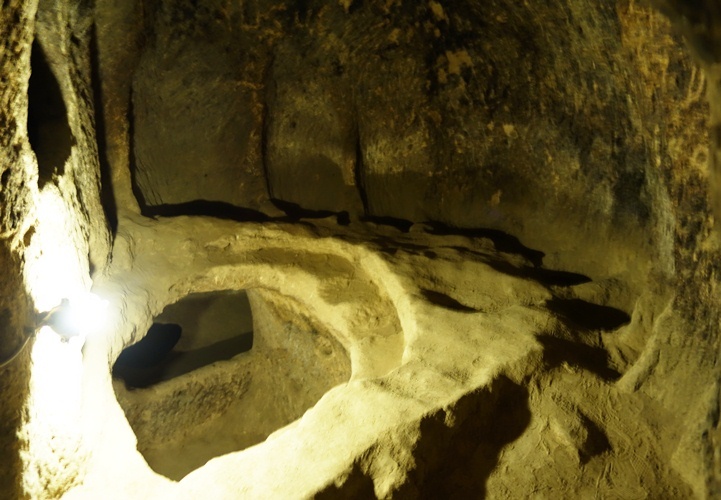 The underground cities were created by christians who were hiding from persecution. 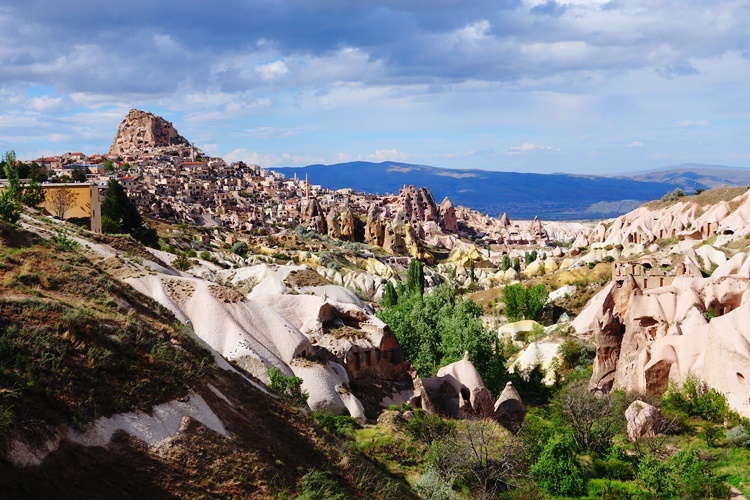 There are many of these cities in Cappadocia with some of them holding up to 30 thousand people. The cities are multi level and contained everything that was needed to survive in the caves for extended periods of time. We went down through several layers and looked at the interesting constructions. Coming back toward our hotel we stopped at the Pigeon Valley overlook to take a good picture of the town we are staying in. The light was just right to get pictures of the many rock formations that line the valley. Flocks of pigeons were landing near the edge of the valley where we were standing. 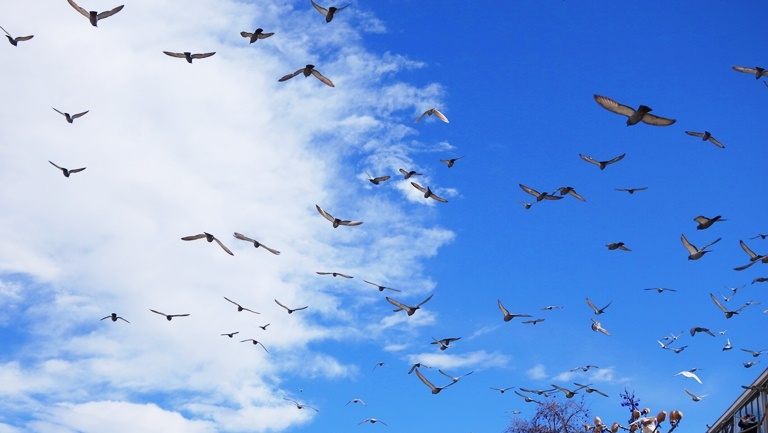 Here I was able to catch a picture of pigeons who were startled and took to the air. The pigeons are important to the local economy as they are raised for guano production. Even better the tourists buy food to feed the pigeons. They get to see a lot of pigeons and help warrant their future. One last picture from out last stop of the day. 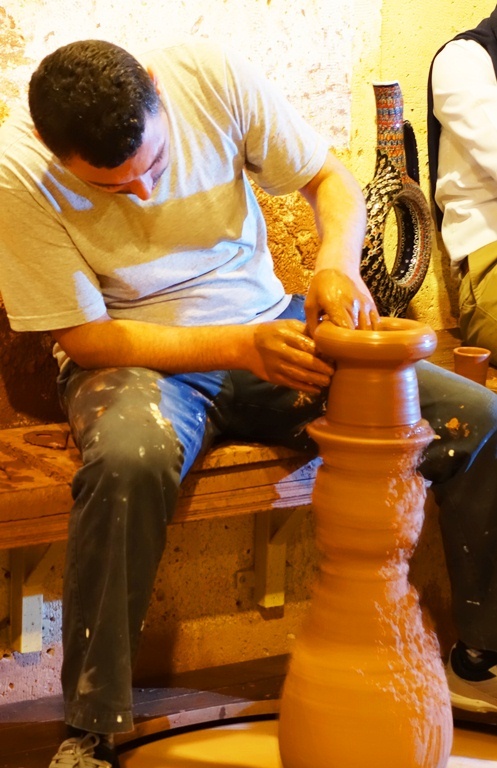 We stopped at the Venessa Pottery company and learned about how pottery is made. Of course there was also time for shopping :-). Hopefully tomorrow will start off with a balloon voyage and then we leave for Antioch. I think most of my readers know what happened first there. p.s. Make sure you visit the Turkey page for more posts about this trip and also links to other bloggers in the tour group. 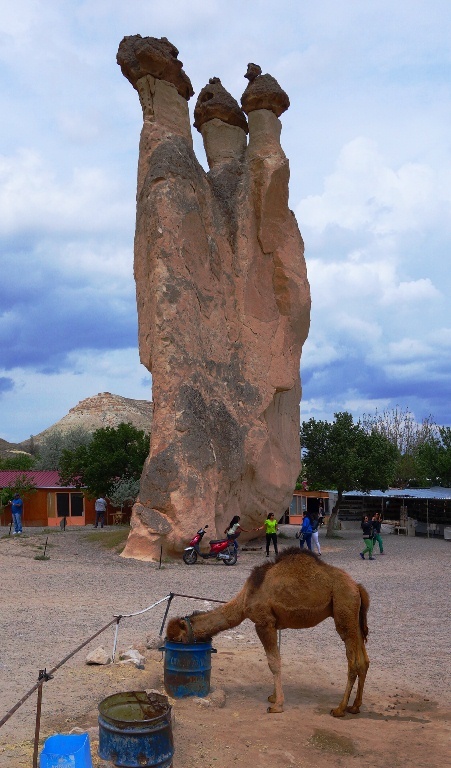 This entry was posted in Animals, Culture, Nature, Travel, Turkey and tagged Camel, Cappadocia, fairy chimneys, hand woven rugs, pigeons, pottery, rock churches, turkish rug, vacation. Bookmark the permalink.